Taking a dig at the critics of the Union government, Jaitley said that India’s GDP has not declined by 2 per cent on account of demonetisation and GST implementation. Union Minister Arun Jaitley has said that 7.7 per cent economic growth in the fourth quarter of 2017-18 ‘firmly’ established India as the fastest-growing economy in the world and the trend is likely to continue for some years. “With structural reforms like demonetisation, the implementation of the Goods and Services Tax and the enforcement of the Insolvency and Bankruptcy Code, we had two challenging quarters. Those who predicted a 2 per cent decline in GDP growth have been conclusively proved wrong,” he said in a Facebook post The Economy and the Markets Reward Structural Reforms and Fiscal Prudence. “A distinguished predecessor of mine feared that he may have to live his future in poverty. We have enabled every Indian to be a part of the world’s fastest growing economy. The future looks much brighter than the past. This trend is likely to continue for some years”, he said. Former Prime Minister Manmohan Singh had predicted that GDP would decline by 2 per cent on account of demonetisation, while former Finance Minister Yashwant Sinha had said that policies of the PM Modi government will make people poorer. 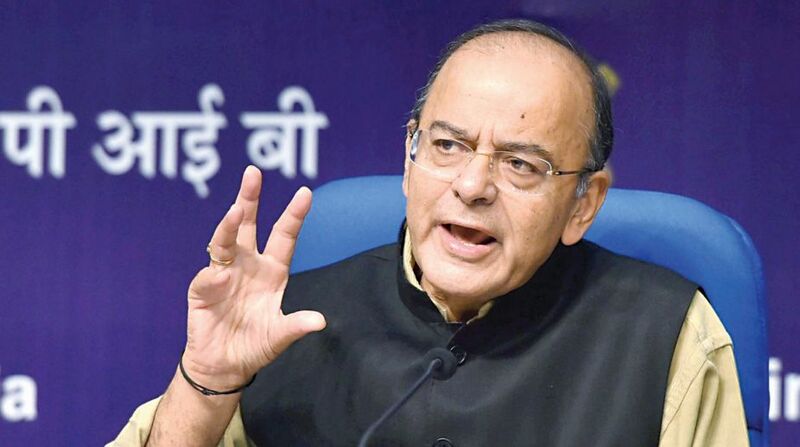 Observing that another former Finance Minister had suggested that the government should cut the tax on oil by Rs 25 per litre, Jaitley said: He never endeavoured to do so himself. This is a ‘Trap’ suggestion. It is intended to push India into an unmanageable debt something which the UPA government left as its legacy. We must remember that the economy and the markets reward structural reforms, fiscal prudence, and macro-economic stability. They punish fiscal indiscipline and irresponsibility. The transformation from UPA’s policy paralysis’ to the NDA’s fastest growing economy’ conclusively demonstrates this . On employment sector, Arun Jaitley said “An analysis of the data released clearly shows that the construction sector is expanding by double digits. It is a job creating sector. Investment is increasing. Domestic investment is also increasing. The FDI is at an unprecedented level…we are spending huge amounts on infrastructure creation. Expenditure on rural projects has increased in a big way. The social sector schemes, more particularly the financial inclusion programmes, have created a wave of self-employment. Each one of these is a high job creating sector”.